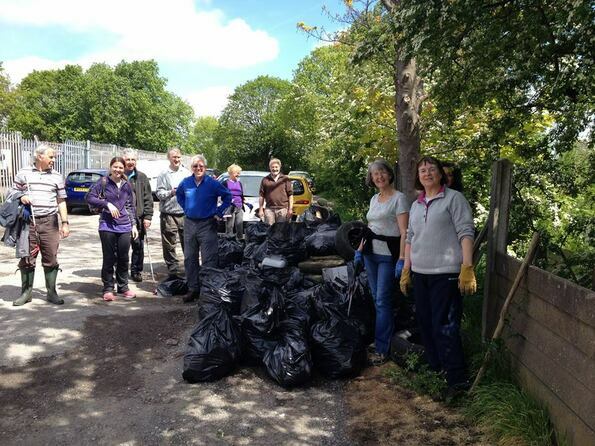 St Thomas’ litter picking group meets once a month to clean up a particular area of our town. The group is augmented by a number of people from our community and anyone is very welcome to come along and join in. We usually meet at 10am on the third Saturday of each month on St Thomas’ church hall car park. We normally work for a couple of hours and then conclude with refreshments in the church hall. We are always pleased to welcome new litter picking recruits but would also welcome volunteers to make tea or coffee when we return from the litter pick. If you are aware of any litter hot spots in Ashton please let us know. If you are interested in joining the group and would like to be kept informed of our activities then please email Chris Wooff.